Celebrate the Fantastic Four at midnight release launch parties – AiPT! Dan Slott and Sara Pichelli kick off a new era of fantastic adventures this August! New York, NY–June 29, 2018–This summer, Marvel invites you to celebrate the debut of FANTASTIC FOUR #1, 57 years to the date of the First Family’s original debut! To celebrate this exciting occasion, Marvel will partner with participating retail stores to host FANTASTIC FOUR #1 LAUNCH PARTIES. Retailers can choose to hold their launch parties on Wednesday, 8/8, or they can hold their launch parties during a special midnight release. In addition to exclusive variant covers, free window clings, and a JULY 2018 SPOTLIGHT FREE PREVIEWS issue which will have a preview of FANTASTIC FOUR #1, participating retail stores will receive exciting promotional items. In addition, retailers and readers are advised to be lookout for a nationwide TV spot that will air in prime time the weekend following the release of FANTASTIC FOUR #1 on August 8th! A selection of variant covers are also available to order. 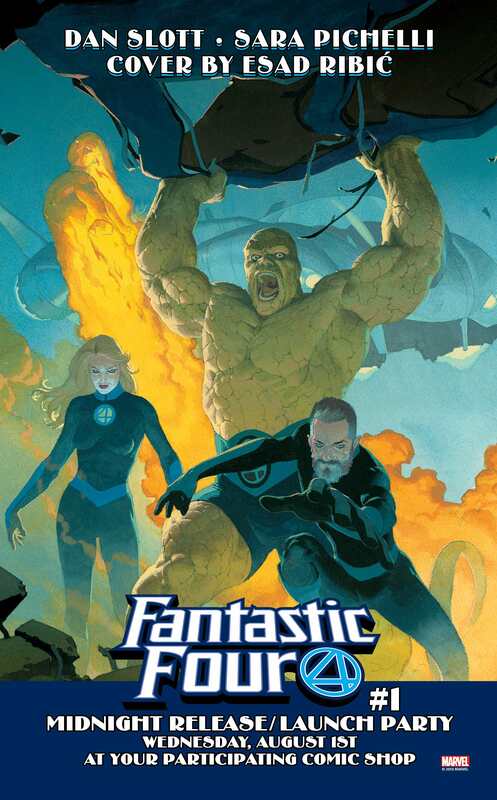 In addition, top retailers will receive free FANTASTIC FOUR window clings for use in their store. Retailers can check with Diamond for more information. 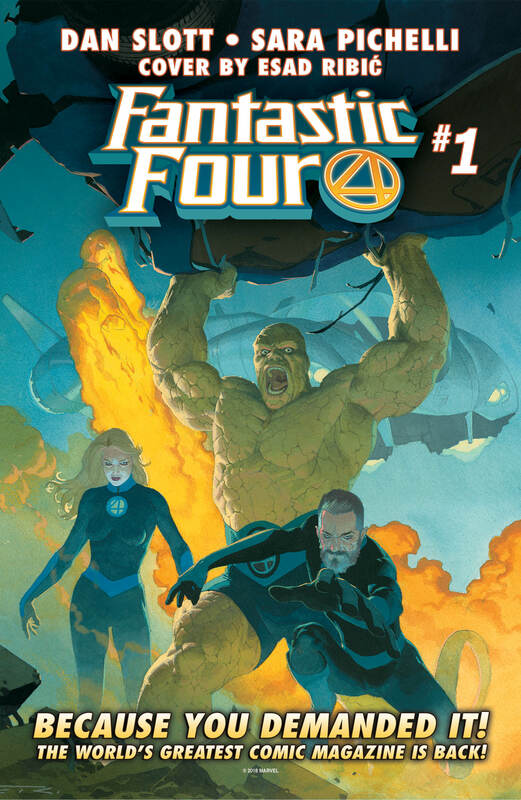 Retailers are encouraged to check their Marvel Mailer and Diamond Daily for more information about the FANTASTIC FOUR #1 LAUNCH PARTIES and how to opt-in before Monday, 7/16. Don’t miss out on all the new adventures of Johnny, Reed, Sue, and Ben – head to your local comic shop on August 8th, 2018, to get your hands on FANTASTIC FOUR #1!